How Can Paragon Help Your Business Succeed in 2019? With the New Year underway, many businesses are starting to plot and plan out the year ahead. One of the big talking points as always will be sales. We all know that without sales a business simply cannot operate, or at the very least, cannot grow and start to scale up. That is where we come in. 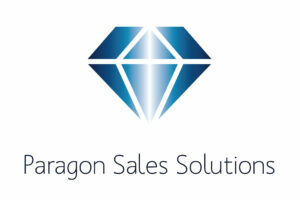 At Paragon Sales Solutions we have the skills and expertise to help you to grow and increase your sales. We can do this in a number of ways! Allow us to share those with you! Telemarketing is quite a broad topic and if you have never used telemarketing before as a way to attract business it can be quite tough to grasp. Put simply, our telemarketing campaigns allow us to join your team, and to help you either market your products or services, or we can help you to sell. We can cold call other businesses on your behalf to drum up interest and to look to start sales conversations. We can call your old data and look to reignite interest and to cleanse that data. We can follow up on leads that you have generated through other marketing channels. We can also set you appointments with people for you to go in and close the sale. Or, we can help you to sell more by, quite simply, selling for you over the phone. Really, the possibilities are endless. We can become your dedicated sales person for a period of time that suits your plans, and your budget. Like any skill set, sales skills need updating, rehearsing and fine tuning for them to remain as positive and effective as possible. We are able to work closely with both business owners and colleagues alike to share with you all the best sales practices and to help you sell more. Our training courses are always tailored for you and are never off the shelf. We can operate either on a one to one level, in a classroom style setting, or even over the phone. 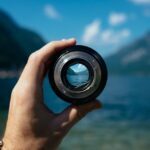 If you have never worked in sales before it can be quite tough to understand the sales process. If this is the case, or need a fresh look at your sales procedure, we can come in and be your dedicated sales consultant. Think of us like a sales director on hire. We can audit your sales processes and procedures and help you to streamline these so that your sales cycle is as profitable as possible for you and your business. Who really has the time for social media? This may be the case, but we all know as business owners how effective social media can be to maintain direct contact with our customers, to maintain a good, strong brand image and to also attract new sales. Our services will create content on your behalf and monitor your channels, so they are as effective as possible. Plus, with our monthly reporting you always know exactly what is going on. We don’t just do old school, telephone style lead generation! Oh no! We also offer lead generation to help business like yours to generate new leads. Our partner digital marketers have created solid results for businesses up and down the Country and work tirelessly to attract new business; so you don’t have to! There are plenty of ways in which Paragon Sales Solutions can support your sales in 2019. Be sure to give us a call, or send an email to us to find out just how we can support you and your business, and to help you gain more sales! We cater for any size business, and what makes us stand out is that we truly care. Our services can be catered for your business and our sales professionals will work tirelessly to ensure your sales targets are met. Be sure to visit our website for more details on how our sales solutions can help your business. Paragon Sales Solutions offer professional B2B telemarketing services, sales training, sales consultancy and social media management. Find out today how we can help your business to grow. © 2019 Paragon Sales Solutions. All Rights Reserved.